I pulled to the front and told her I would park on the far side of the lot where she would be able to see me when she walked out at some point in the future. The late afternoon sun was shining in my eyes as I found the perfect spot to park. I backed in, cracked the windows, reclined my seat, and settled into a slumber--I was car-napped. The streaming beam of sun warmed my face as the cool breeze from the well-adjusted side window kissed all my worries away. I had the car's sound system tuned to Classic Rewind on Sirius/XM and recall that Tom Petty and Cat Stevens played a role in my personal siesta serenade. I had several dreams of being successful and funny during difficult situations; I had conquered several life goals; at one point I awoke to the sound of thunder. When I opened my eyes I realized that someone had bashed a shopping cart off the side of the hollow plastic bumper which protects the cart corral from high-speed food-carriage cowboys. I drifted off again easily. If I could fall asleep as quickly or as soundly when it’s time to go to retire for the evening as I do when I car-nap, I would look far better in the morning. Car-napping hazard: Parking too close to the cart corral can disturb your beauty rest. For years I wondered about why my dad would quickly volunteer to stay behind while mom dragged myself and three sisters into stores for food or school shopping. He would just wave us all inside even after we told him he should come with. Pop was secretly car-napping. Like everything else, napping comfort levels and entertainment options have evolved since he used to practice the art. The bench seats in our old blue Chevrolet Caprice station wagons were vinyl and nowhere near as adjustable as the seating we have available now. Lumbar support was unheard of unless you count an old rolled up beach towel stuffed into the lower part of the seat. And of course there was no satellite radio. But my dad found a way to enjoy the time away from the wife and kids with the Red Sox on the Mono-Riffic Delco AM radio. The peaceful voices of baseball announcers during a late August afternoon home game at Fenway Park were his Tom Petty and Cat Stevens. The announcers would pick up the tone and volume if something important happened so you would have plenty of time to come out of your sleep if you sensed a change in the excitement level of their voices. I find napping during broadcast baseball games to be extremely relaxing. I am not even sad to tell you that I don’t typically care about the outcome of any game. Baseball is second only to golf for the deep sleep the announcers' voices can induce. If golf was more widely broadcast on radio, I probably would hit the preset to listen to the progress on the links, if only for the soporific effects. The sounds of the game are better than counting sheep. Sheep can't play baseball anyway. It was only later in life, maybe around seventeen or eighteen, that I discovered the magic of getting car-napped. Recorded-from-the-radio cassette tapes provided the soundtrack to my early car-napping years. I would show up early to pick up a girlfriend after her late shift, or sit in the parking lot of the school to waiting for a sibling's bus to return from an away game or event, and snooze away, undeterred by the horrible song transitions caused by fumbling fingers on the pause and record buttons of the day. 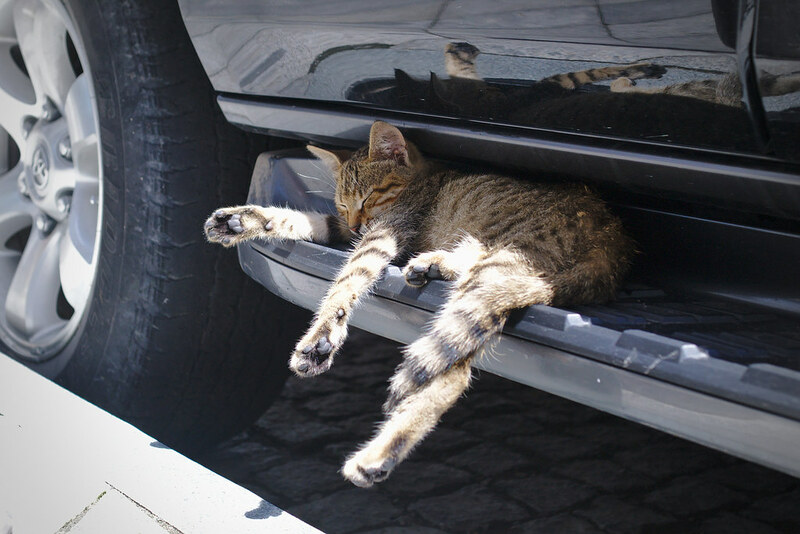 Car-napping is practiced by many species. As for me, car-napping will continue to be one of my favorite late-afternoon undertakings. 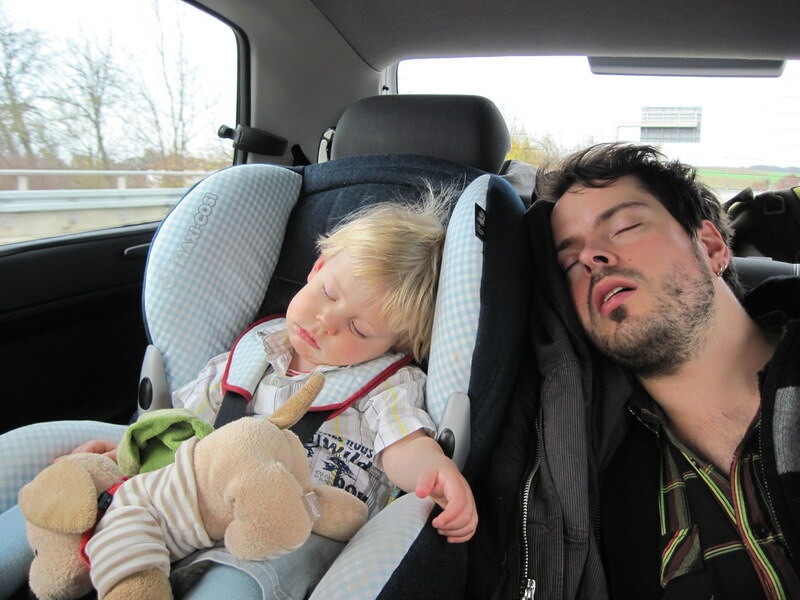 Do you car-nap? If so, drop a comment below with tips or tricks to make this hobby a happy-place for the rest of us.